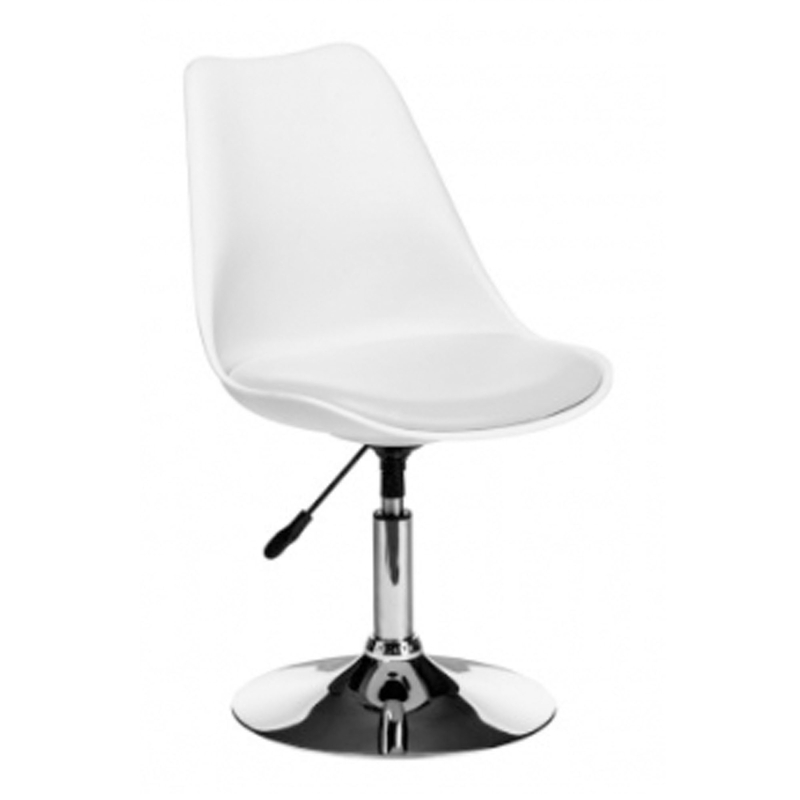 This is a gorgeous bar chair with a magnificent white colour and a modern style. It's as comfortable as it is stylish, it has a lovely curve with a white padded seat for extra comfort. This chair also has a sturdy metal base, alongside an adjustable seat height. This bar chair is both practical and aesthetically pleasing.